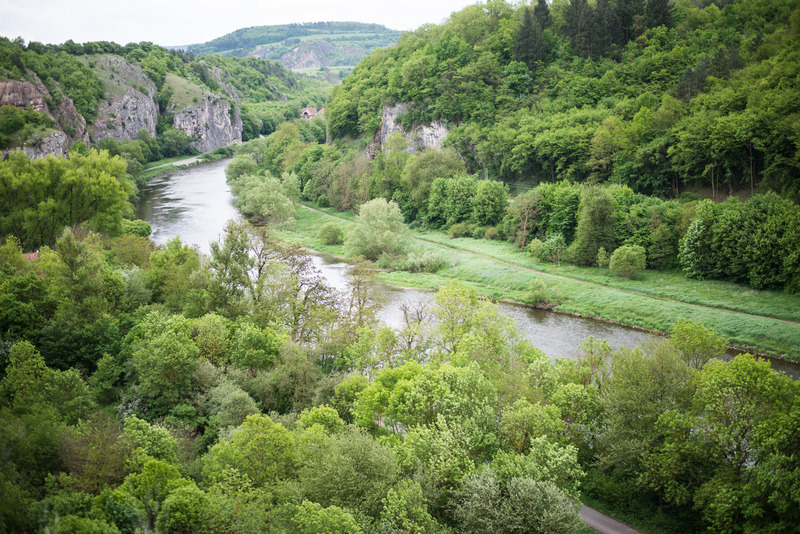 According to my boss and many other Czech people I’ve talked to, the typical Praguer is a nature-lover and wouldn’t spend a weekend voluntarily in a city. 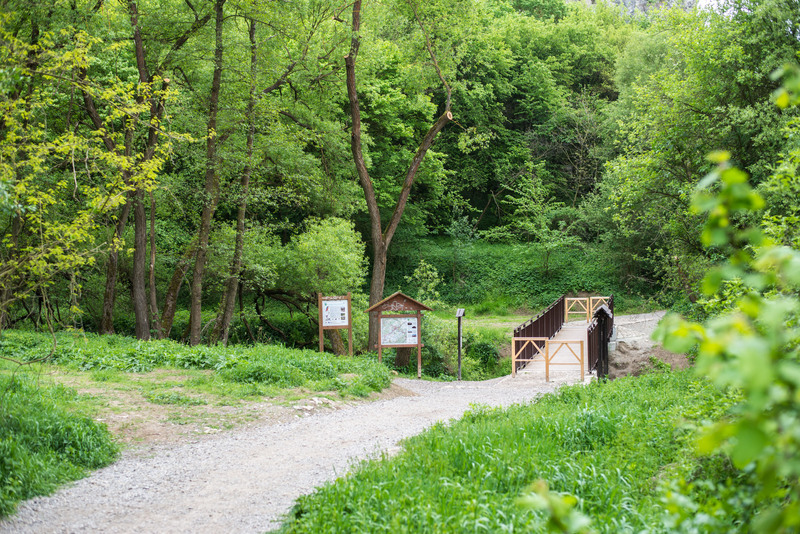 Everyone has summer cottages somewhere at the country side and loves to get active in a forest, the mountains or a river. 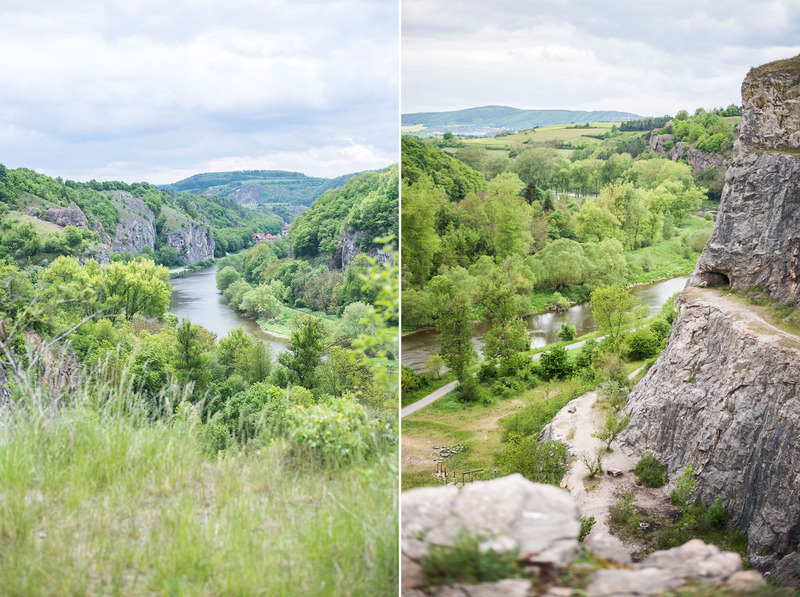 I visited one of the most popular regions, located around the river Berounka: Srbsko, Czech Serbia. A confession before we start: I’m not an active person. I don’t go hiking (event though I’d love to do more stuff like that! ); when I have to paddle, the boat goes in the different direction and I have a terrible fear of heights. But even for me the surroundings were beautiful, the sights incredible and I definitely want to go there again! 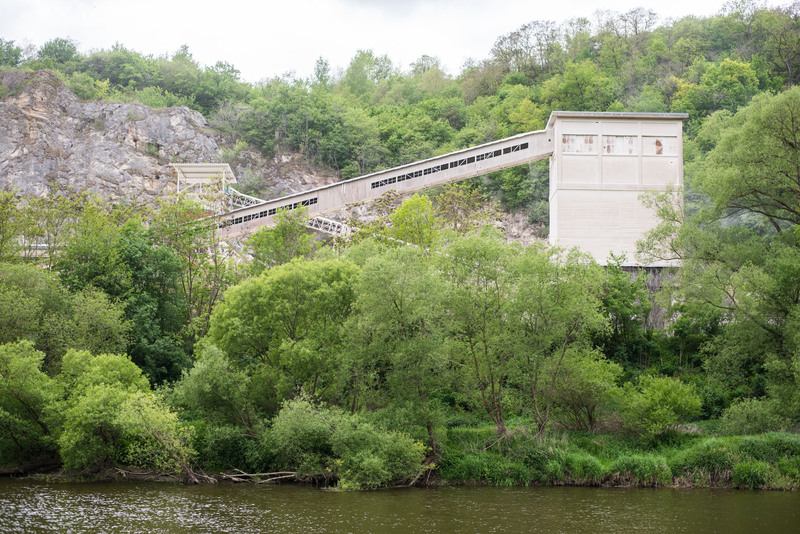 Although the area is more a nature-paradise than a museum-like place as Prague, there is still something historically interesting: If you decide to just take a walk along Berounka, I’m sure you’ll see the old mine, a white and eye-catching building. 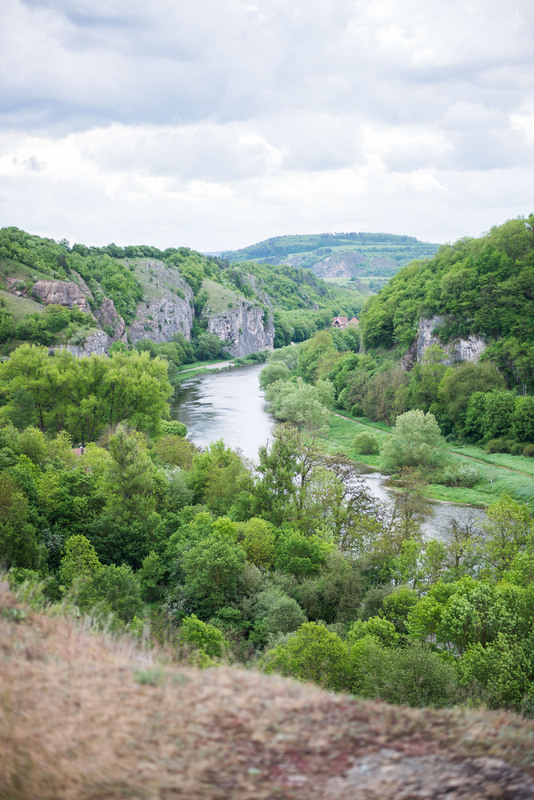 On the opposite side of the river the former miner’s beautiful(!) houses decorate the wayside. It must have been an easy way to get to work: Just jump in a boat and go across the water. 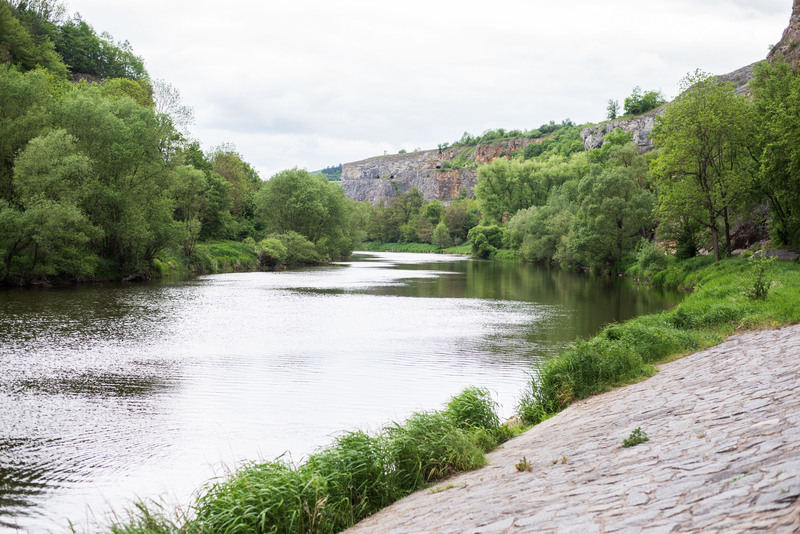 Since the river is really calm and flat, also people today love to go canoeing here while having a glass of wine on the river (nothing works without alcohol in Czechia) and enjoying the beautiful landscape around. 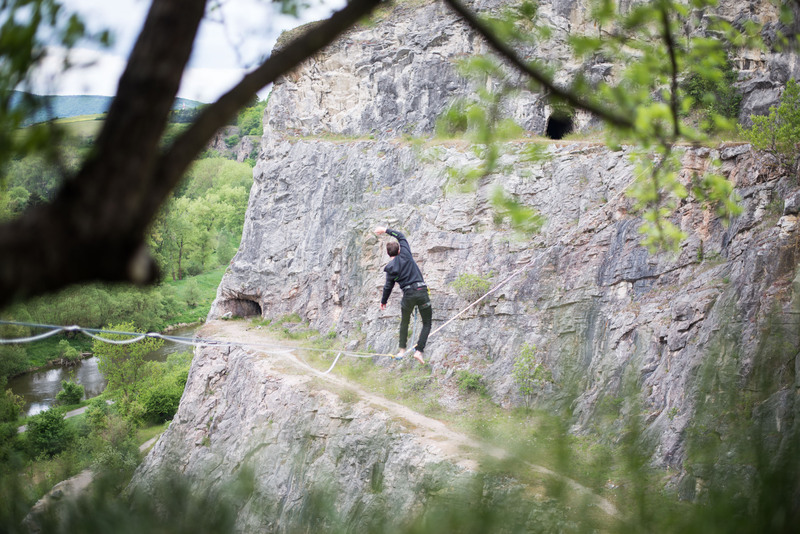 The more active and brave ones go climbing up the steep rocks or slack-lining over the canyon (I even get goosebumps and wet hands when I just think about that sight). 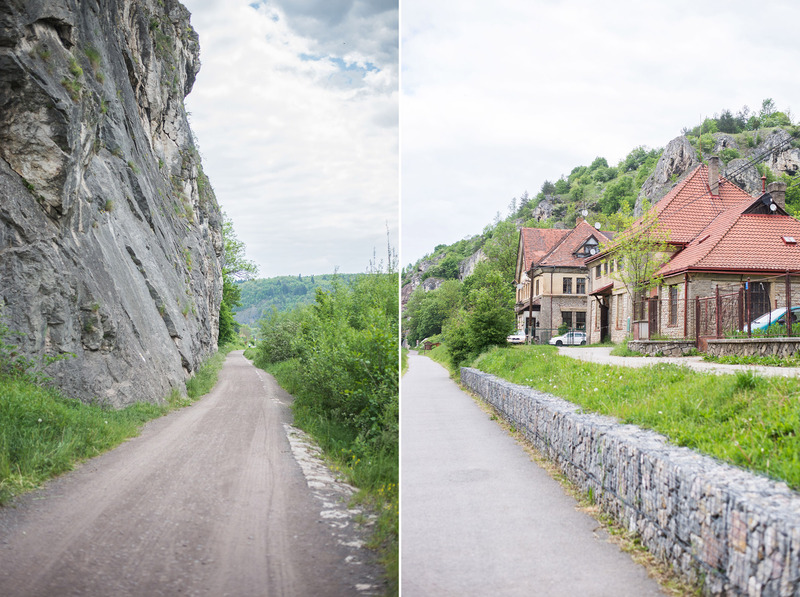 How to get to Srbsko? 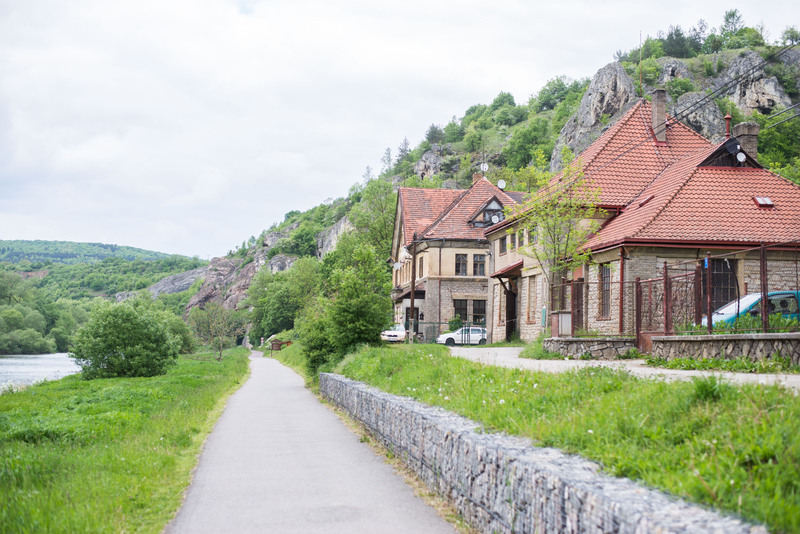 There is a train station, also called Srbsko from where you can walk through the whole area. From Prague it’s about 50 crowns, which is around 2 Euro (yes, public transport is cheap). However, I went there by car because of the camera equipment we had with us; so something like parking lots also exist. If you want to go up one of the rocks (as we did, apparently) you have to climb up some quite steep paths and slash yourself a way through the bushes. But always remember: The view is worth all these efforts!